We kick off Canadian Music Fest with a performance by Revelstoke at the Rancho Relaxo on Weds March 21st at 8 pm sharp! Revelstoke is the multi-instrumentalist project of Andrew Seale, who once upon a time didn’t but now does reside in Toronto. Revelstoke has been hard at work and making quite a name for himself as of late, playing on large showcases, touring, and getting great publicity via AudioBlood Media. Placing Revelstoke at the start of the night was a thoughtful decision. Let’s face it folks, Canadian Music Fest is an intense marathon and not a 100-metre sprint. That’s why a nice way to start it off is with some meticulously thought-out, experimental indie-folk pop. At least that’s what I think. 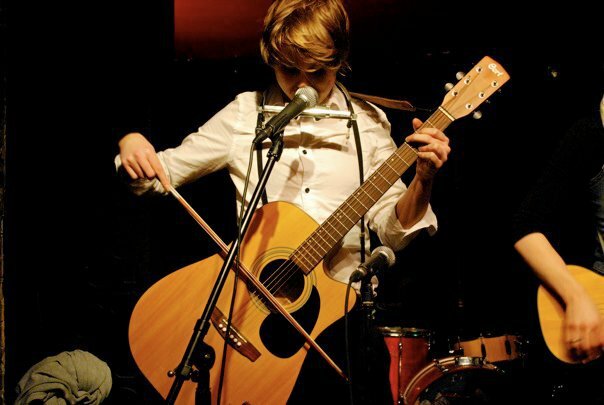 But don’t be mistaken, this isn’t going to be Andrew with one mic and an acoustic guitar like so many solo acts who will be playing the festival. You never quite know what instrument he’ll pull out and that’s a big part of what makes Revelstoke’s sound so compelling. Listening to Revelstoke’s most recent release esprit d’escalier is a transcendent experience. It’s the type of album that if you just put it on, lay back and close your eyes, and soak it all in, it will bring you wherever Revelstoke and you decide to go. I love albums like that and I am sure you do as well. Yet for some reason, I have yet to see Revelstoke live. That will end on March 21st. Is it possible the first set I and perhaps you will see all festival could be one of the very finest? It just might be. If you let it. You can see the full lineup for that night here. Just scroll down to Rancho Relaxo. Hot tip: if you don’t want to pay a service charge just show up nice and early (doors are at 7:30) and you’ll get in for just the flat $10.